A FAST food lover who gorged on takeaways every night has gone from fat to fit after becoming a bodybuilder. Lola Adeoye, 43, has transformed her body from podgy to super-muscly after losing seven stone. And Lola, who began taking part in bodybuilding competitions last year, said: “I can’t believe how much my life has changed. "I went from eating takeaways every night to attending spin classes six times a week. 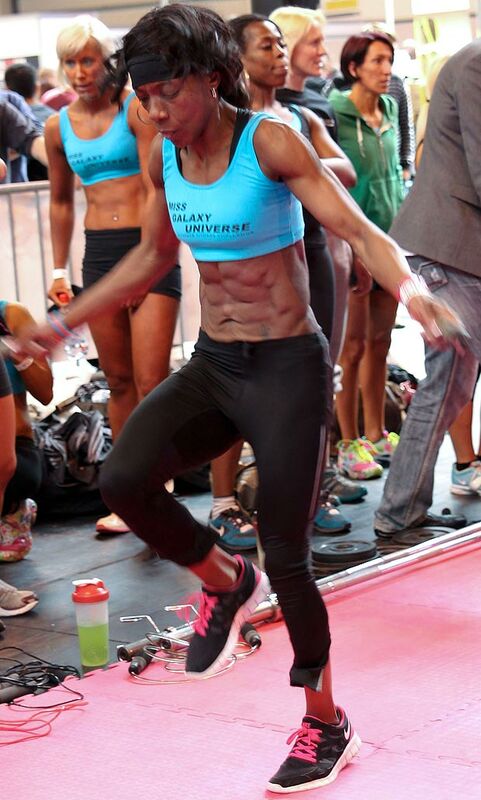 "I feel so much healthier and I absolutely love competing. "It’s strange because when you do the work you don’t immediately see the change in your body. Lola, from Grays, Essex, was forced to tackle the flab after weighing in at 15 stone during a hospital appointment. She said: “I’d been in and out of hospital with gallstones and found out that I was going to need surgery to remove them. "I went to the doctors for a pre-surgery consultation when I was asked to jump on the scales. "I hated weighing myself anyway, but when I saw that I weighed almost 15 stone I was humiliated. "It was so embarrassing but it was the motivation I need to sort myself out. Lola vowed to start using the gym membership that she’d had for years, and two weeks after her surgery she finally attended her first class. She went on: “I had originally signed up to a legs, bums and tums class, but when I turned up I was the only one there. "The instructor thought it was pointless to do a class on my own so she took me along to a spin class that was going on at the same time. "As soon as I got on the bike I loved it! The lively music and great energy in the room just had me hooked. Lola lost four dress sizes in five months and even began teaching classes herself. 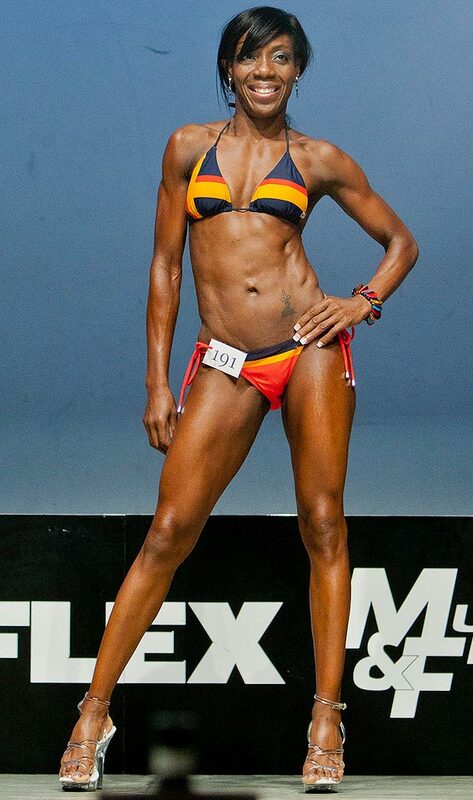 Eventually Lola began bodybuilding because she felt “scrawny”. She said: “When I was a size six I was so scrawny and just didn’t feel comfortable. I was too slim and scrawny and I couldn’t find any clothes to fit me. "I started weight training just to give me a few extra curves, but I ended up really enjoying it. Lola’s trainer suggested she should enter competitions — and this year she won her first title. Lola said: “I feel really proud of what I’ve managed to achieve. "I look back on what my life was like before and I don’t know how I let myself get into such bad shape.